As a manufacturing professional, you are responsible for optimizing your equipment. The better your equipment works, the better your quality and the higher your throughput. Your equipment should also fit your needs and be customizable based on your processes, which may change over time. 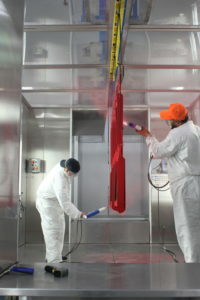 An important process of many manufacturing lines is finishing, including liquid and powder coating. When considering finishing systems, there isn’t a one-size-fits-all option.